Now in its 9th year running the Franschhoek Literary Festival will draw thousands of avid book-lovers to its beautiful valley for a weekend of books, poetry, culture and wine! Iconic Africa is passionate about giving back and thus loves supporting this event whose proceeds are donated to non-profit organisations. Iconic Africa chatted to Sheenagh Tyler the key organiser to get the inside scoop on this year’s Festival. The festival aims to inspire and inform bringing celebrated authors from all over the world to share their learnings, experiences and wisdom with South African readers. With such a plethora of writers and talks on offer there is something for everyone. This year it draws the likes of Tim Couzens, Justin Fox, Ron Irwin and Moeletsi Mbeki to name only a few of the distinguished writers you can look forward to. The festival is not run for profit but is dedicated to encourage reading among young learners and to raise funds for local community and school libraries. The FLF Library Fund has donated thousands of new books to schools, crèches and libraries in the area and has significantly improved local reading levels over the last decade. The Festival runs from Friday the 15th May to Sunday the 17th May, from 10am to 5pm each day. Events take place all over the exquisite village, and all are within walking distance creating a vibrant atmosphere and an amalgamation of book and wine lovers alike. Talks take on the format of informal discussions, debates or one on one discussions. Alongside these there is a great deal of alternate entertainment including writing workshops, food and wine tastings and music concerts. Don’t forget when you are not in a seminar or talk you can be sitting along the picturesque, white picket fenced, French inspired main road with a lovely cappuccino croissant and the newspaper. Later in the day you could be enjoying a glass of the valley’s sensational wines, perhaps a Haute Cabriere Pinot Noir or a glass of Graham Beck Brut, with an artisanal cheese and charcuterie board. After the sun has set, your options are endless as the village houses some of South Africa’s top culinary experiences that will rival the best in the world. How long does a festival of this nature take to organise? Why do you organise the festival? 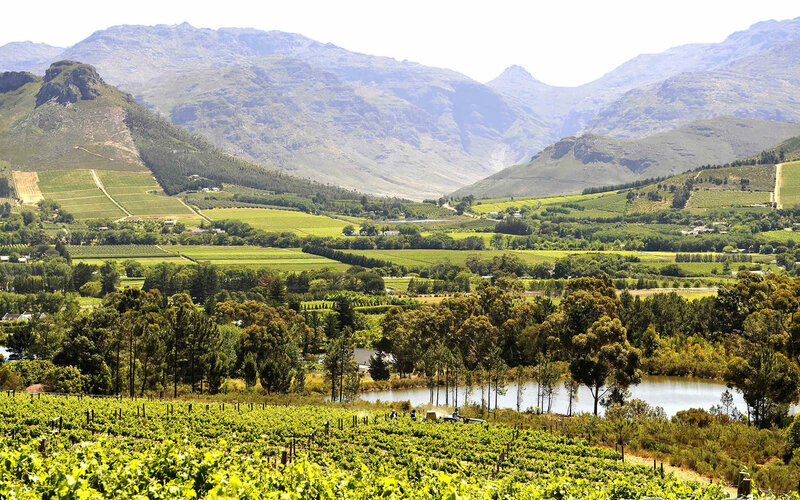 Tyler: “I live in Franschhoek and wanted to do something to help the community, to give something back. The FLF Library Fund is a cause I really believe in. Tyler: “The political debates are always very interesting and entertaining and I’m sure this year will be no different! What should festival visitors be sure not to miss out on? Tyler: The two events that are unique this year are the two stories of music, where the journeys of two of South Africa’s favourite singers will be brought to life. The dynamic PJ Powers will tell her personal story using anecdotes and musical interludes. Bongani Madondo (well-known author/journalist) and Shado Twala (famous radio presenter) will bring to light the legacy of Branda Fassie. Any tips to festival-goers this year? Looking for a luxurious piece of heaven to return to after a long day of learning and inspiration. Perhaps Delaire Graff, Le Petit Ferme, Le Quartier Francais or La Residence? 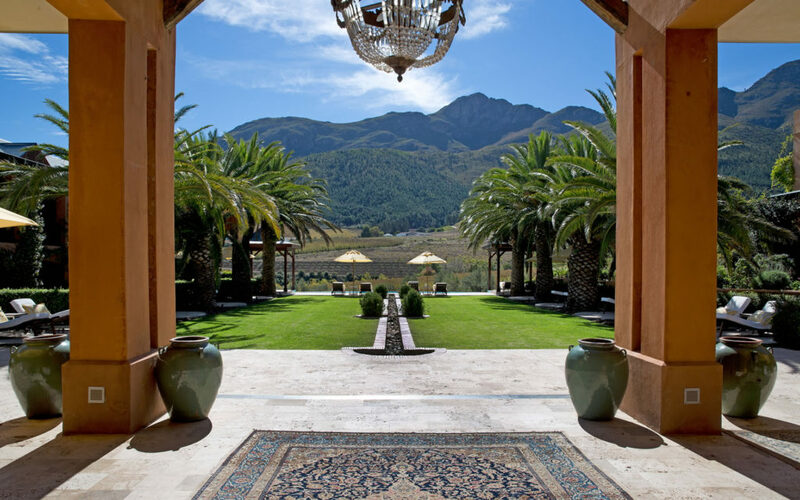 Contact Iconic Africa now for the ultimate in luxury winelands accommodation.